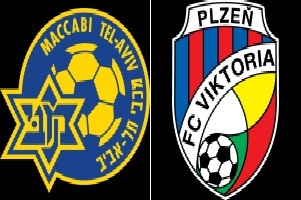 Champions League game between Maccabi Tel-Aviv and Viktoria Plzen. Both teams are approximately on the same level. Last round Maccabi defeated Hibernians from Malta. They lost their visit and trashed Hibernians at home with 5:1. In this first meeting the team from Israel will have the home advantage and the stadium will be full of supporters. There is no doubt about that. Maccabi Tel-Aviv play a lot better at home and that is the key factor for my bet. Even if they fail to win I think they will make at least draw in front of their fans. In that case you will get your money back.